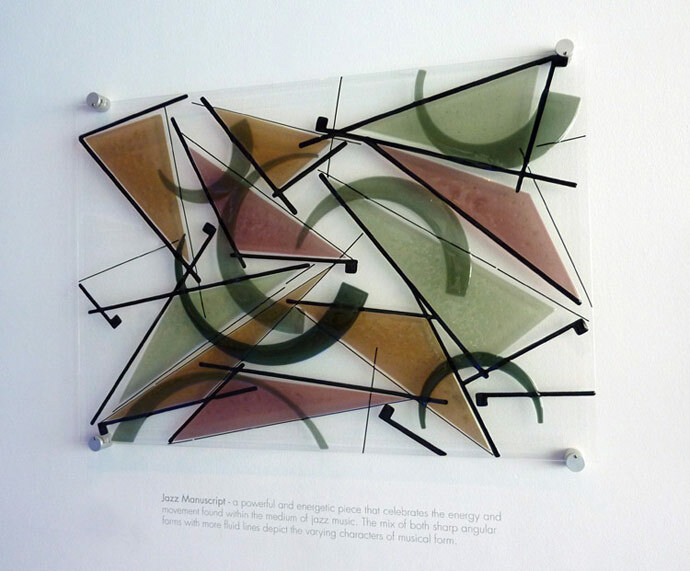 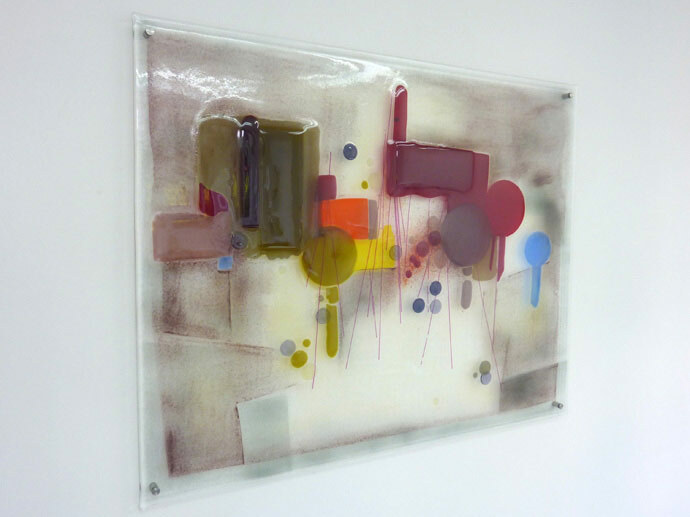 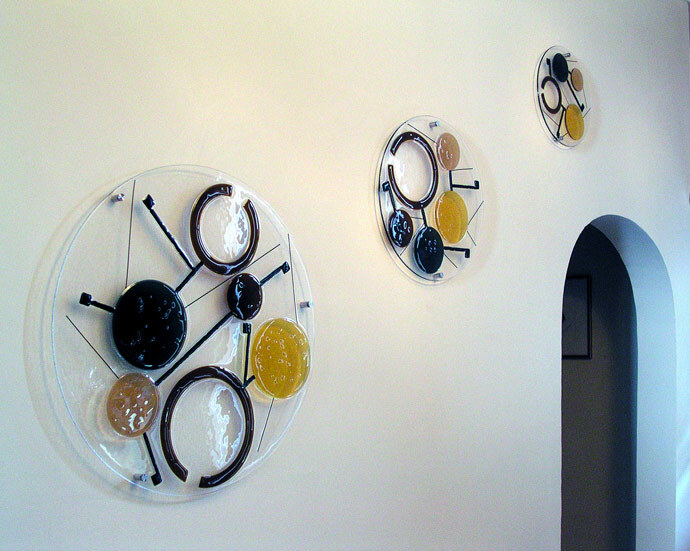 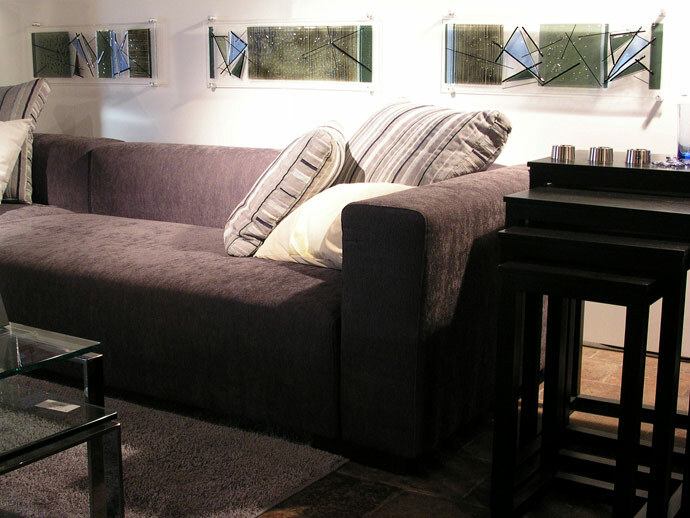 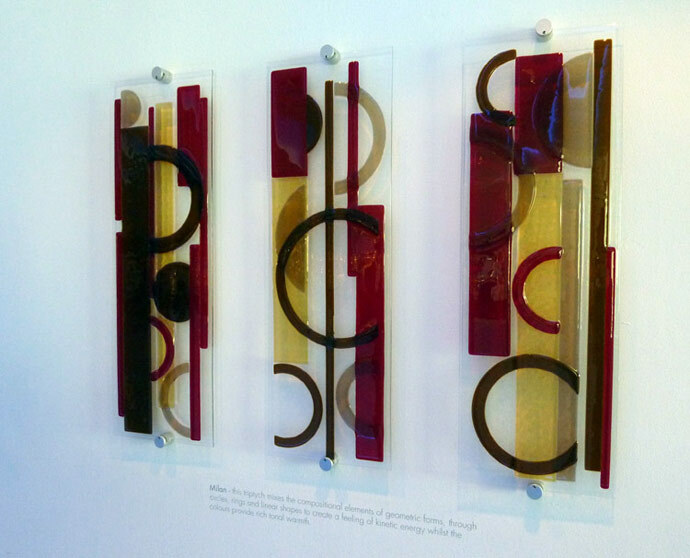 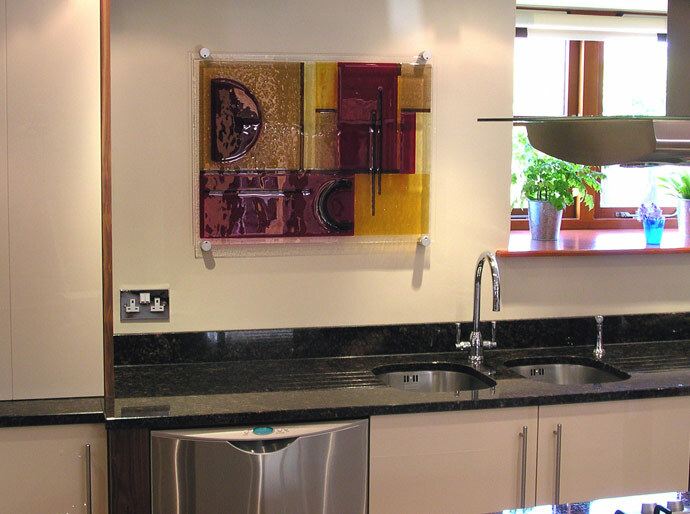 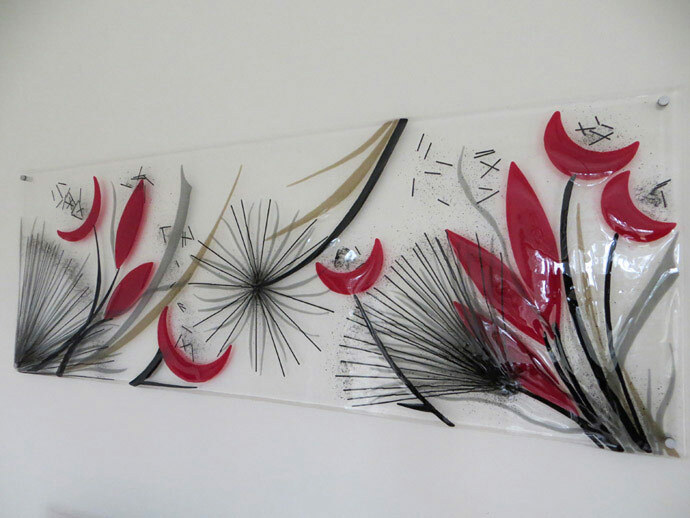 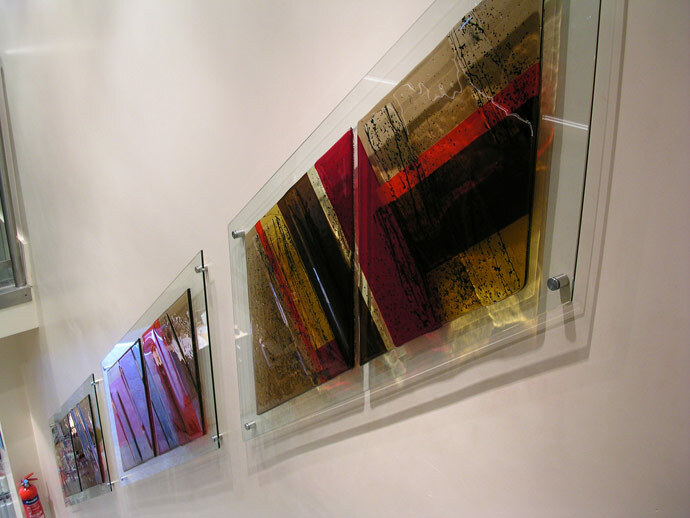 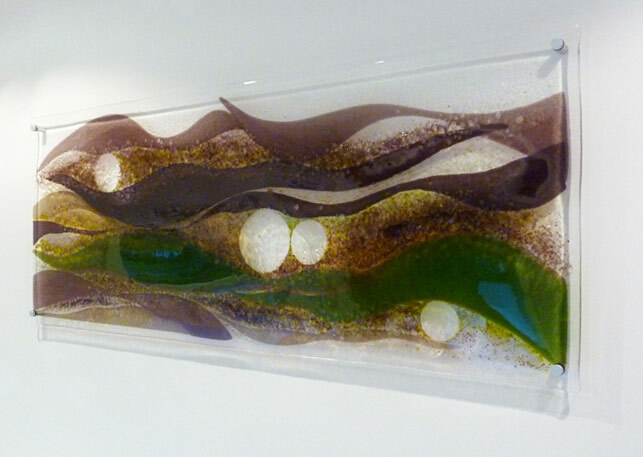 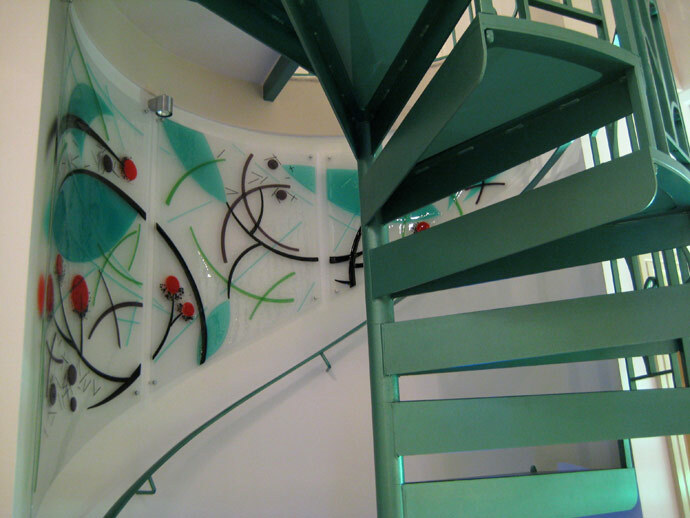 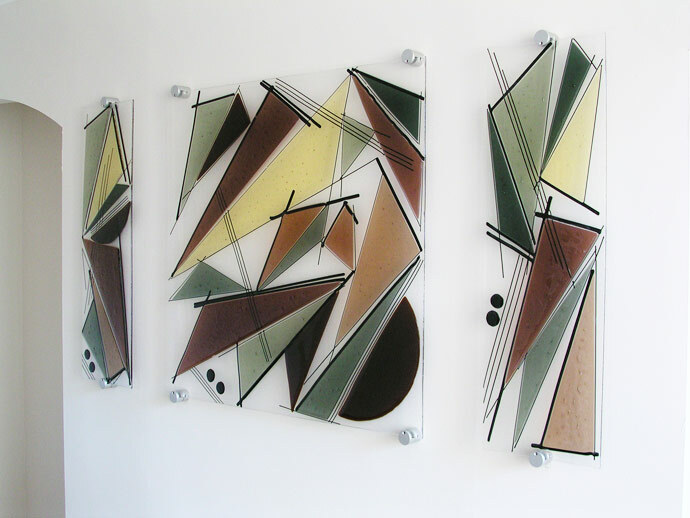 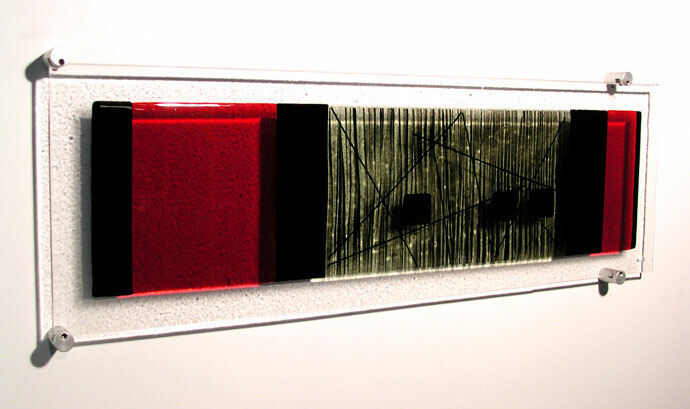 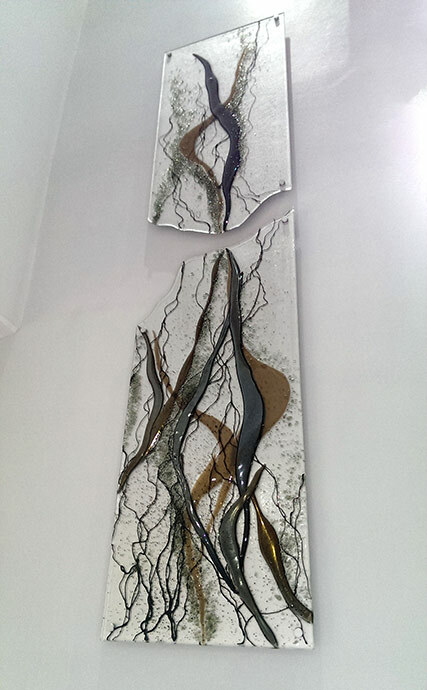 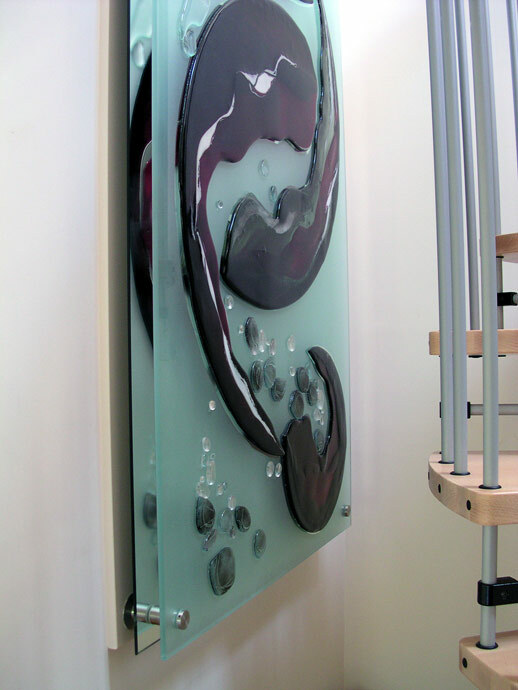 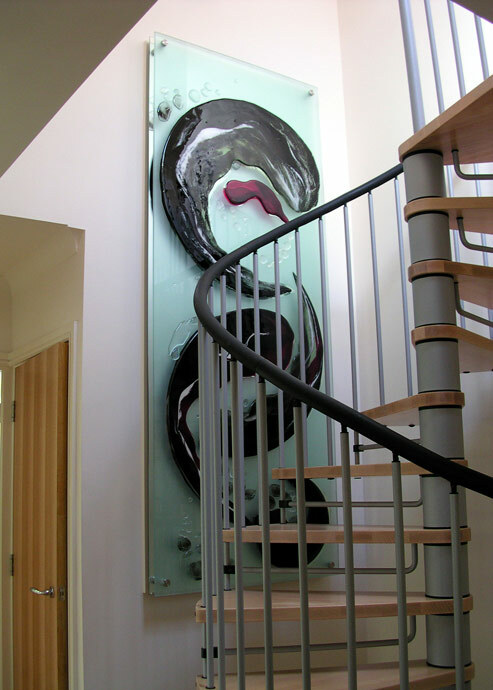 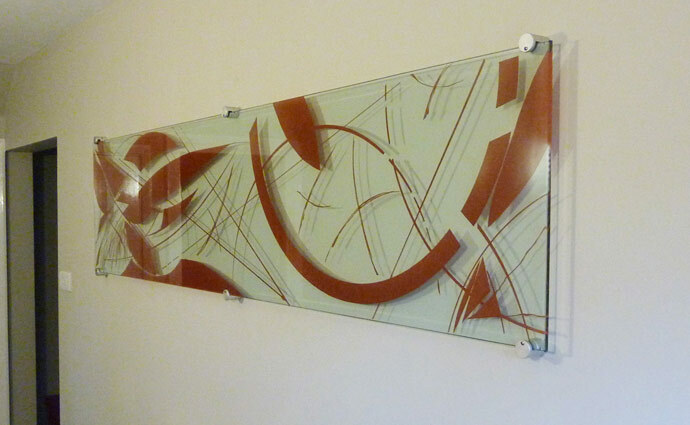 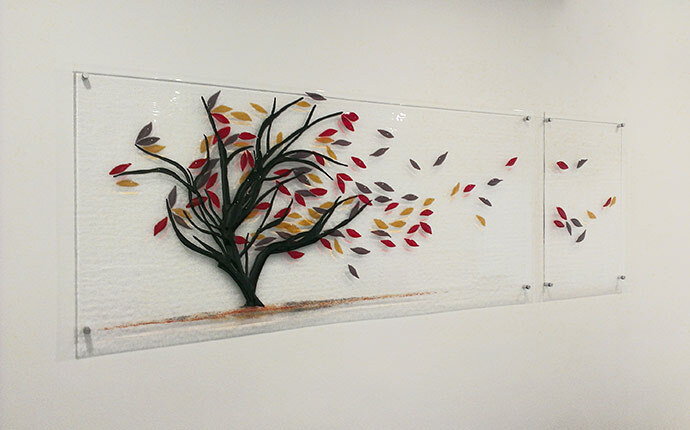 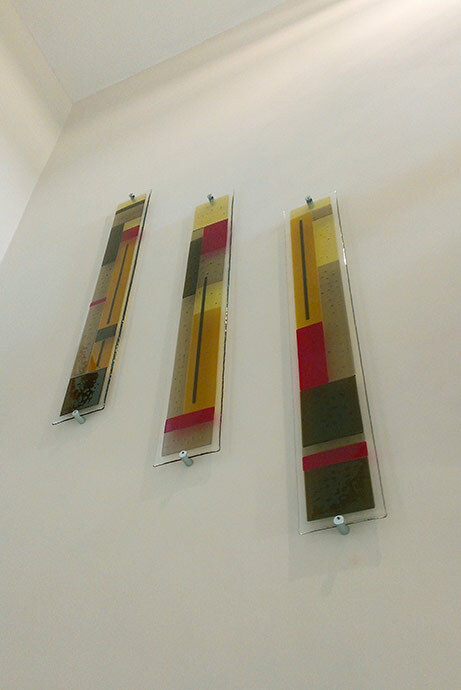 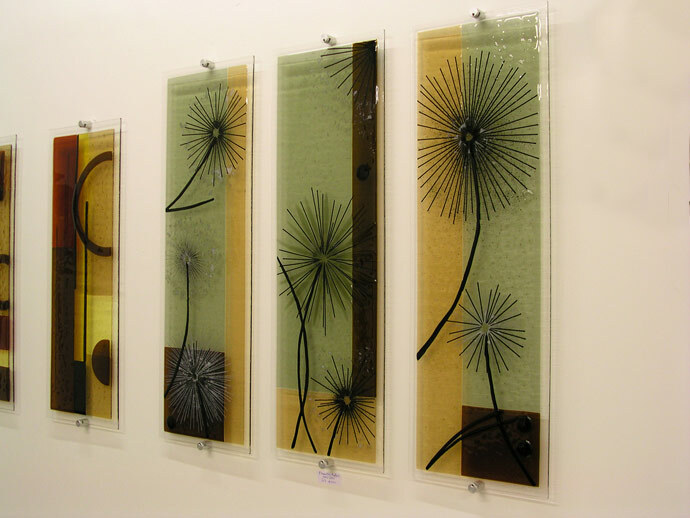 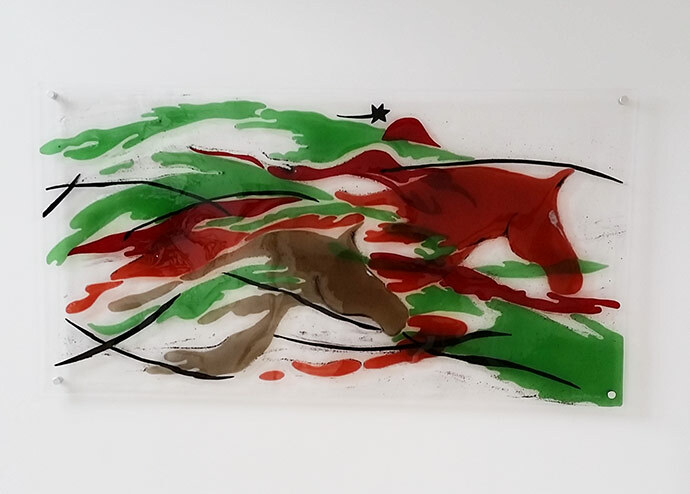 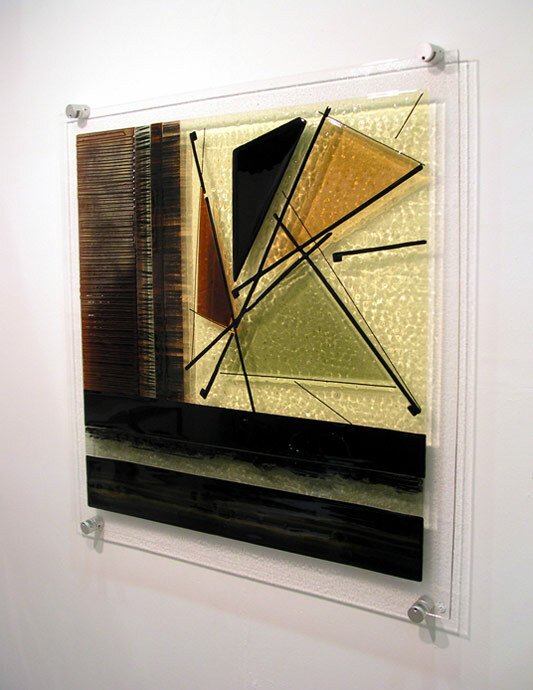 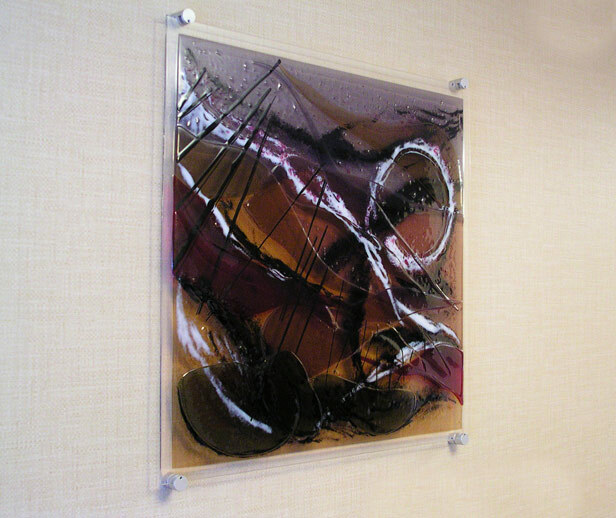 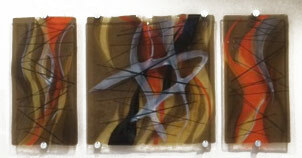 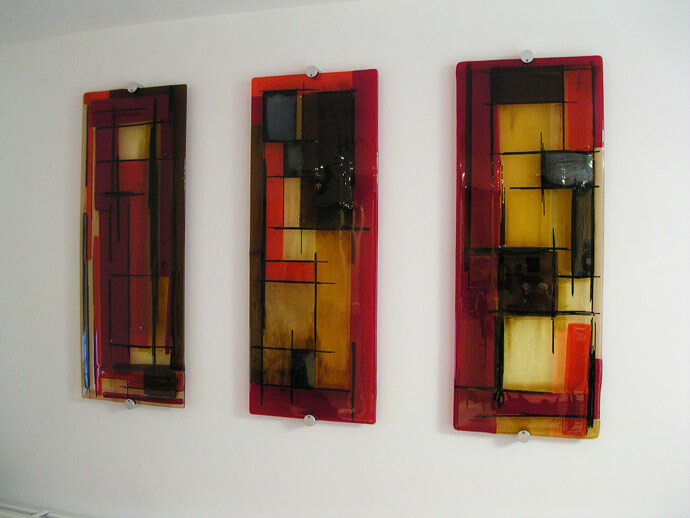 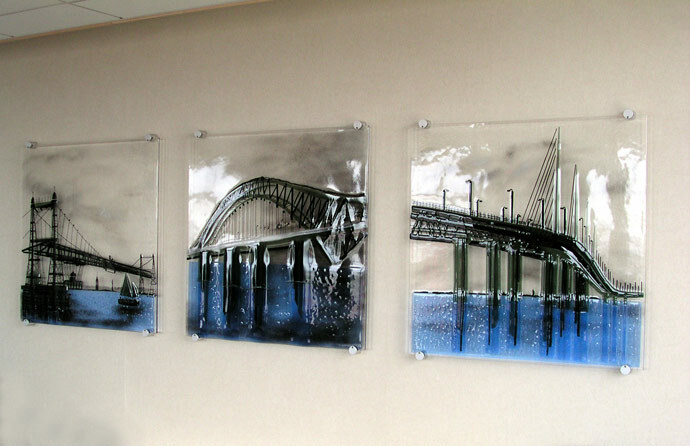 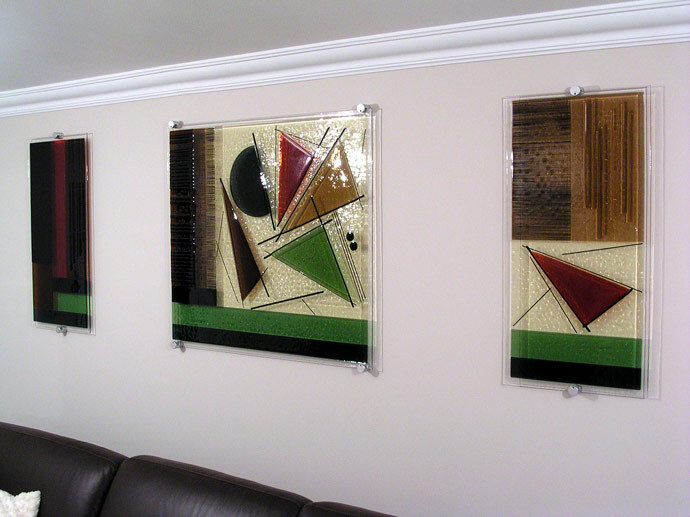 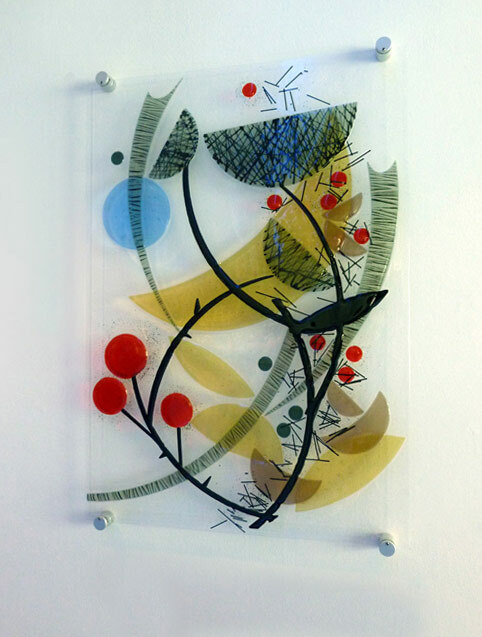 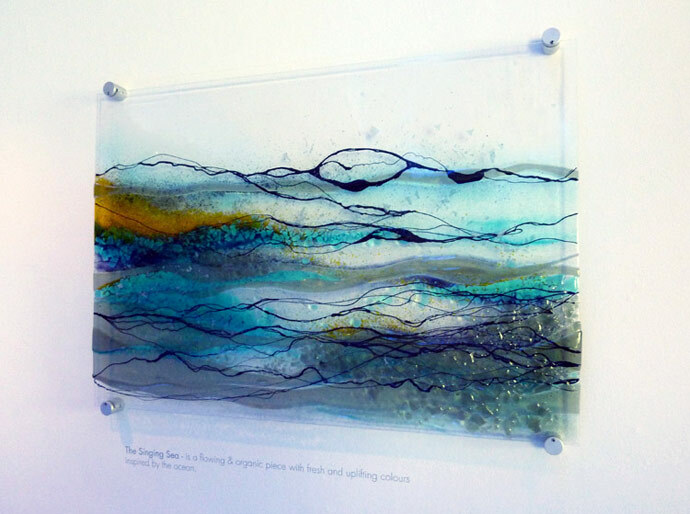 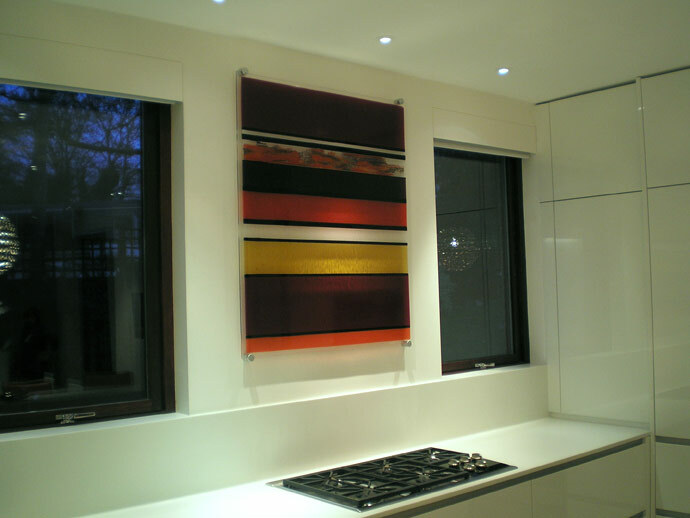 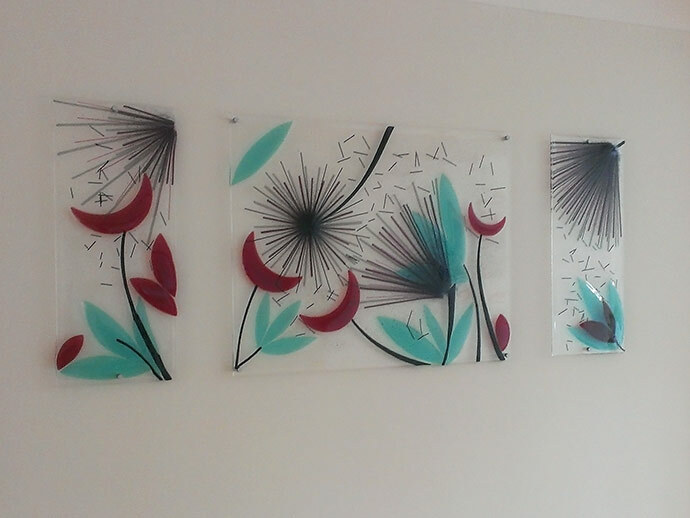 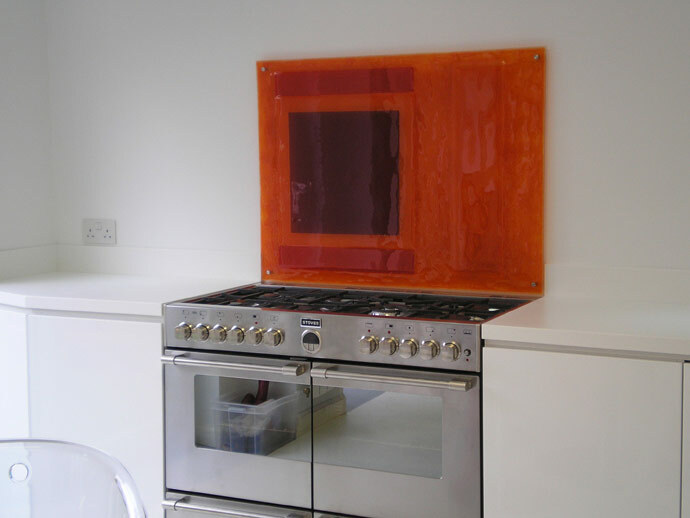 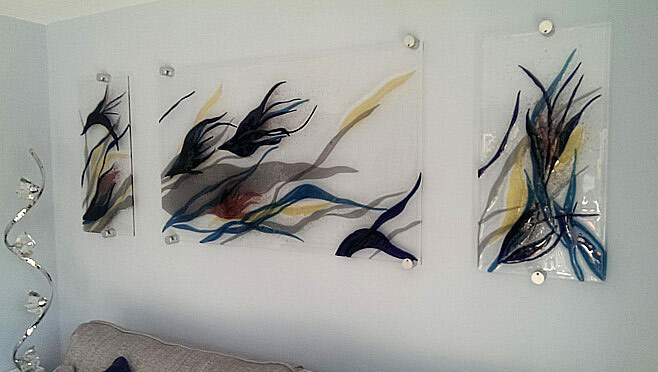 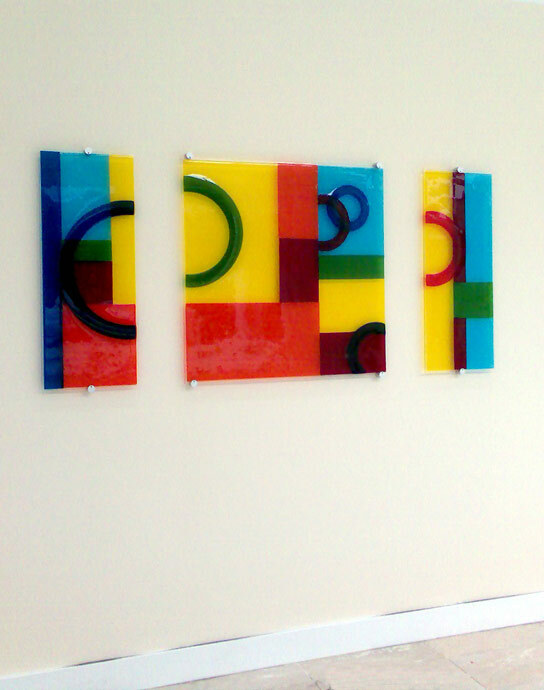 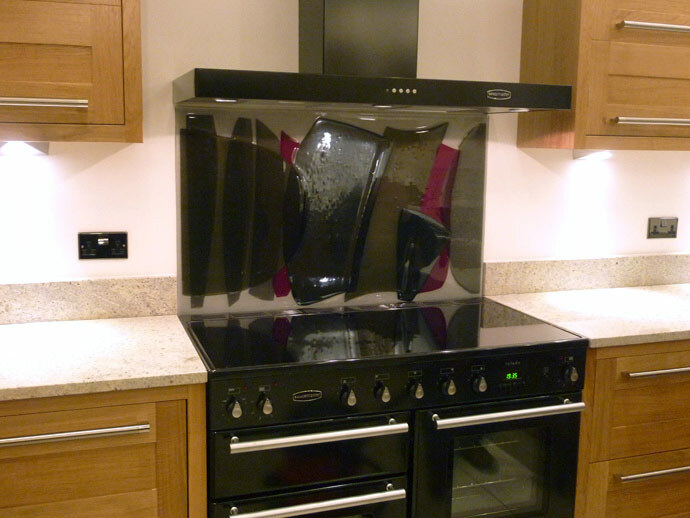 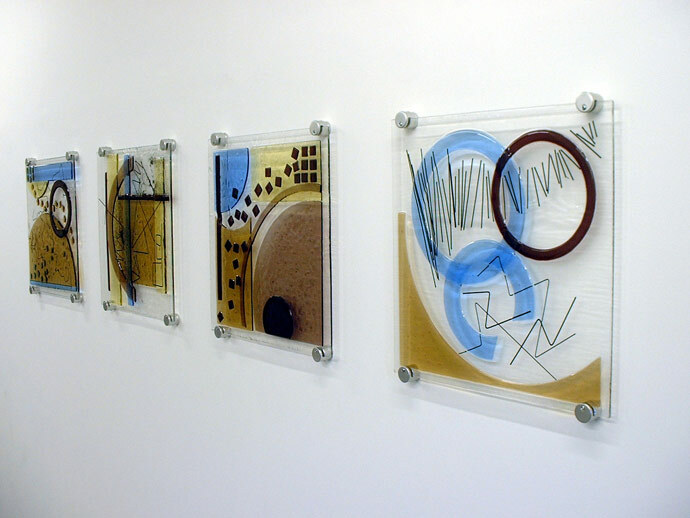 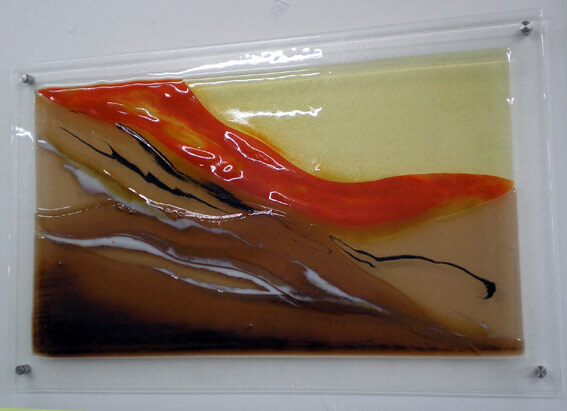 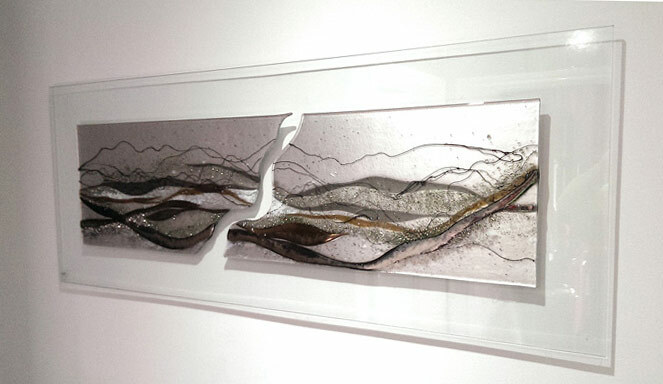 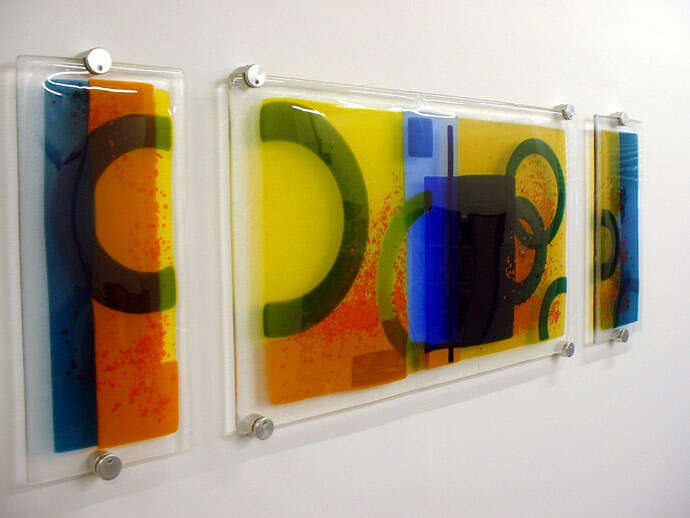 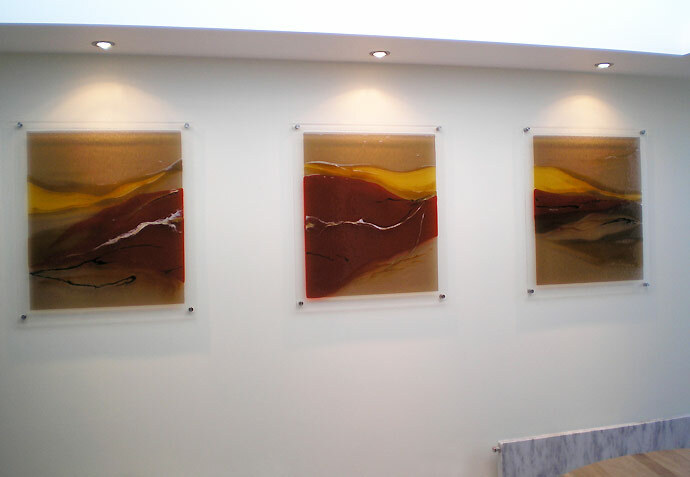 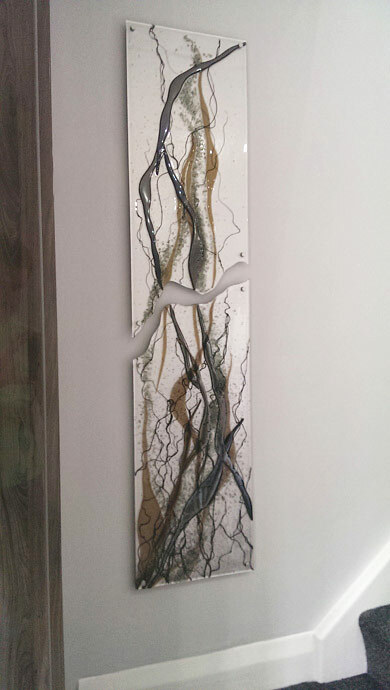 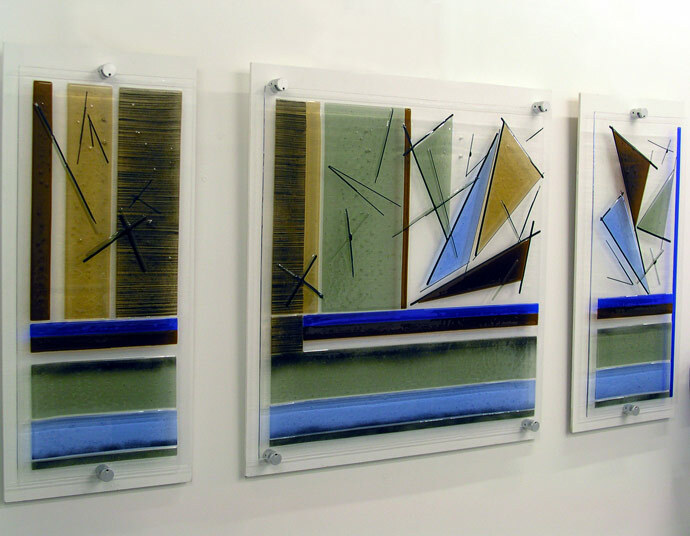 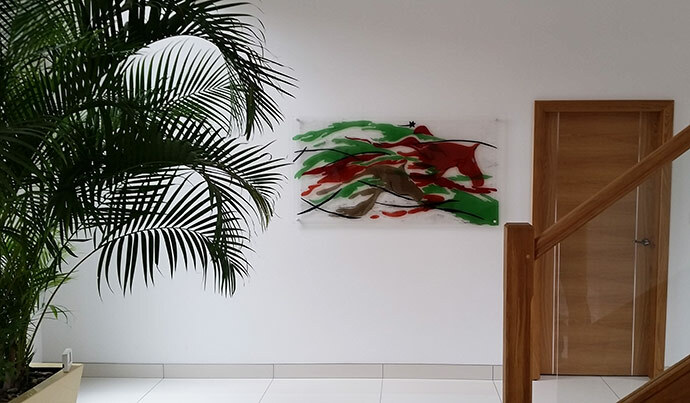 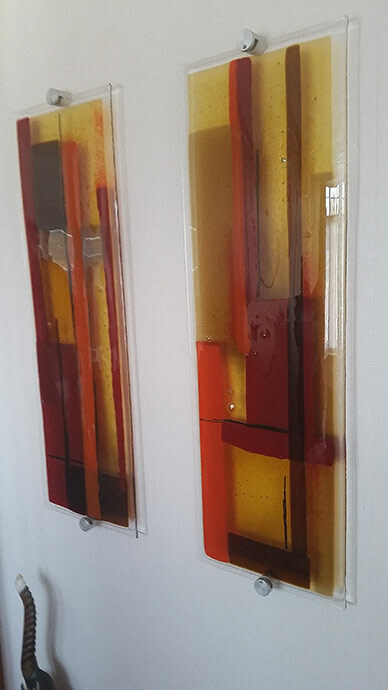 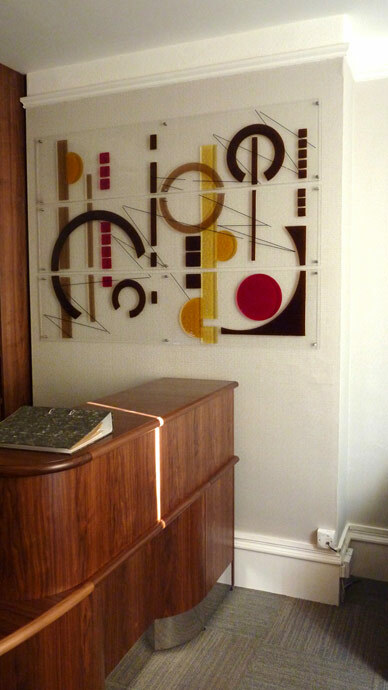 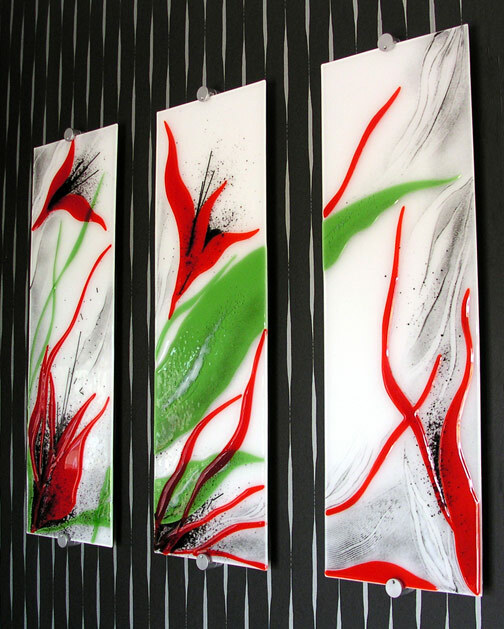 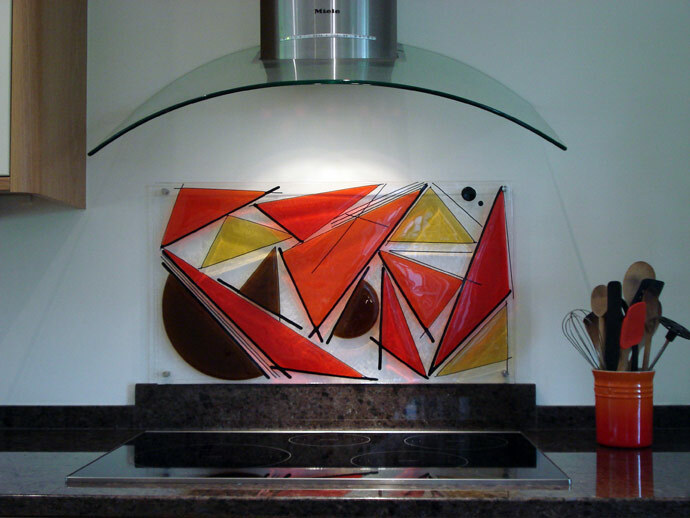 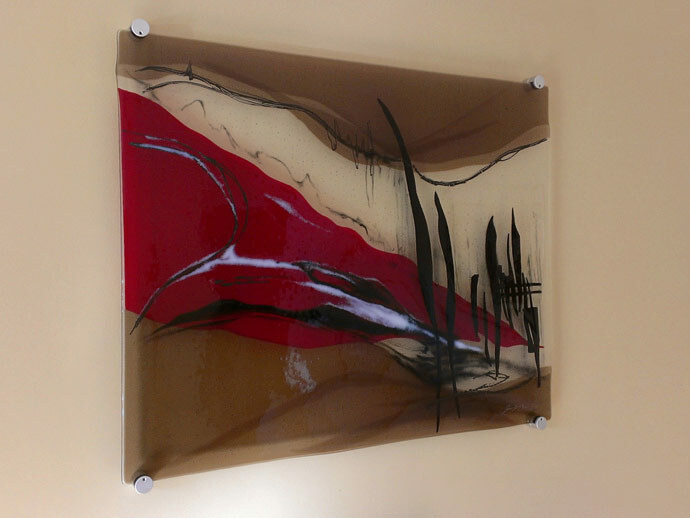 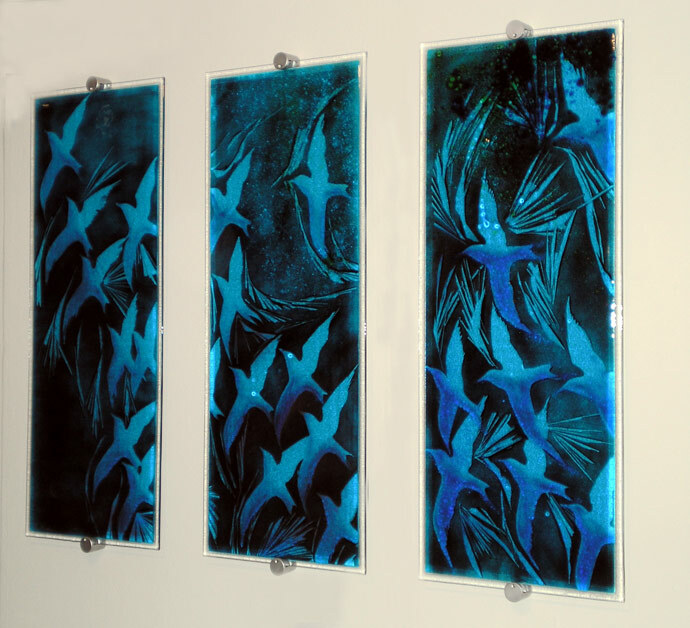 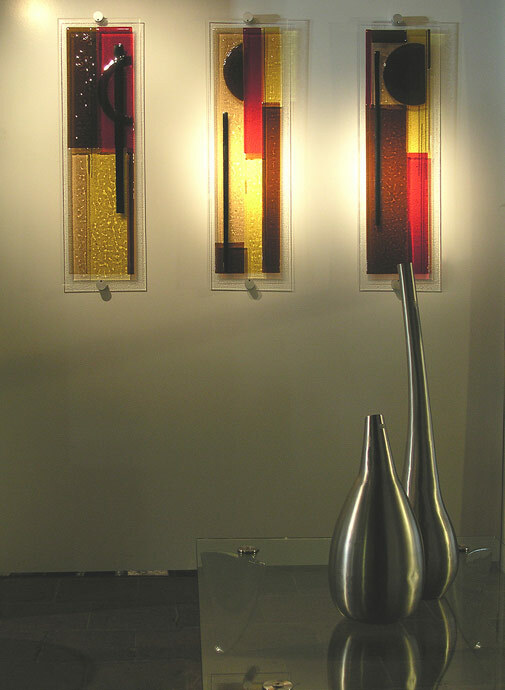 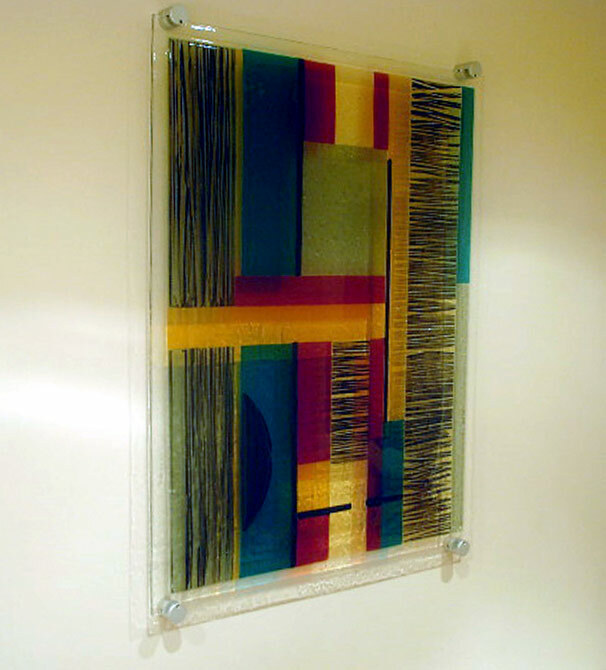 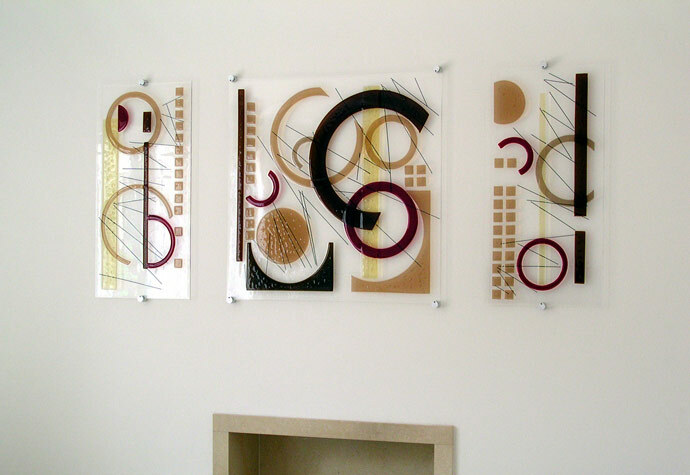 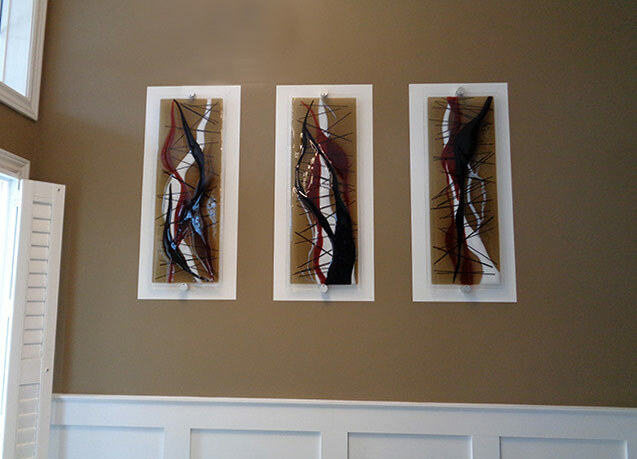 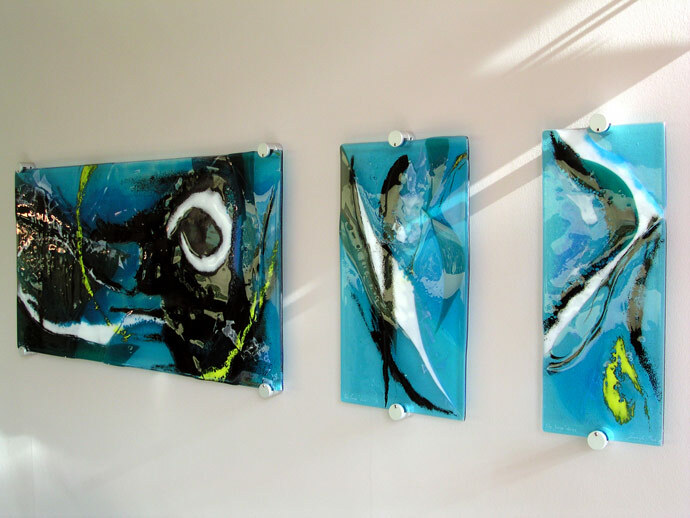 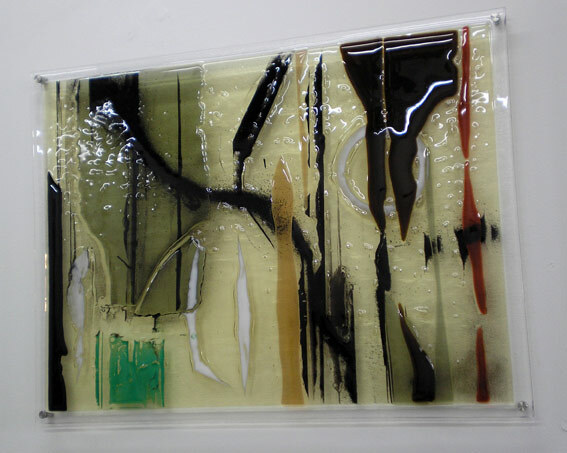 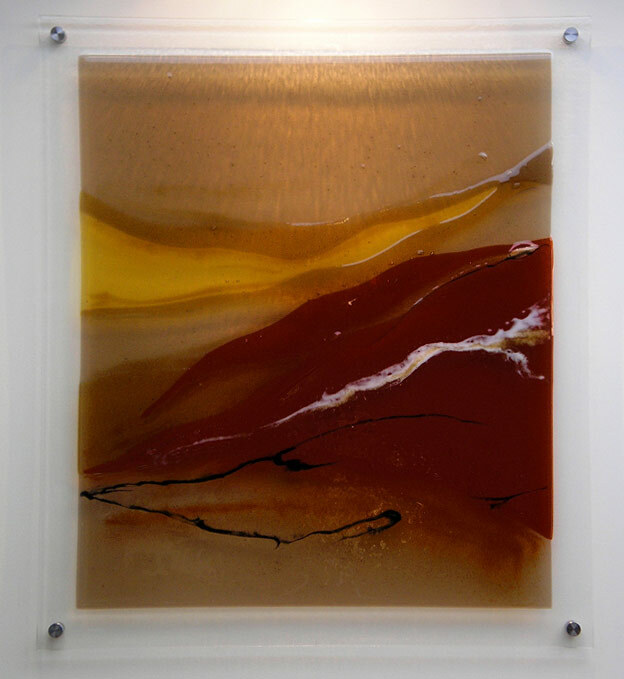 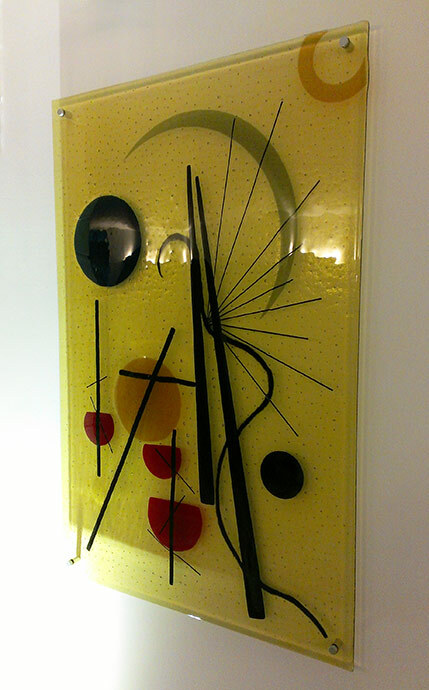 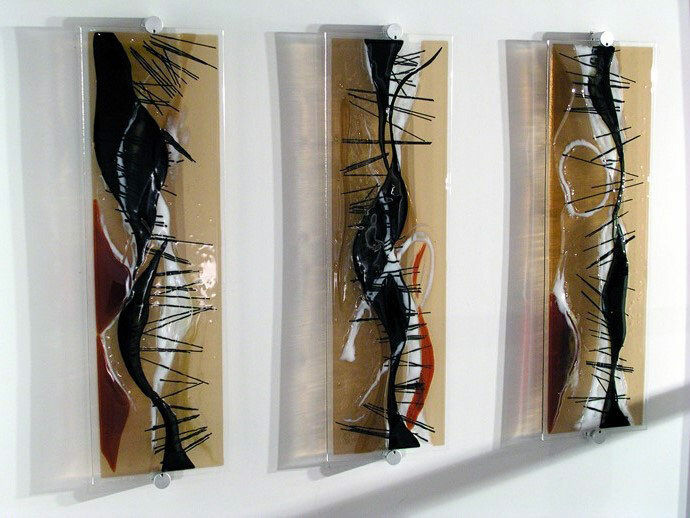 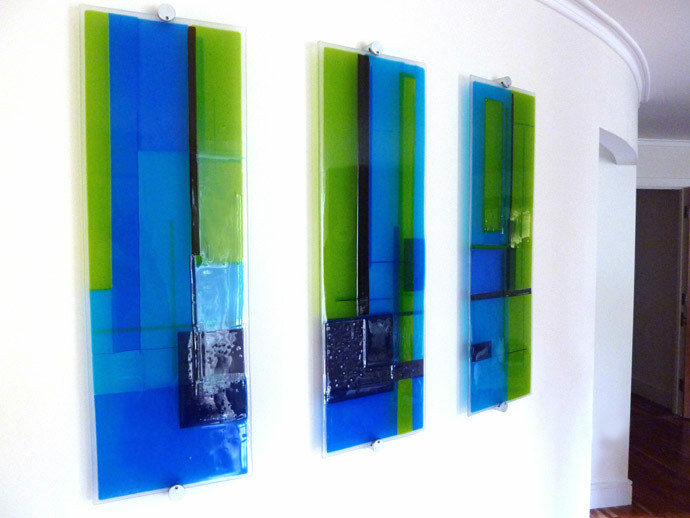 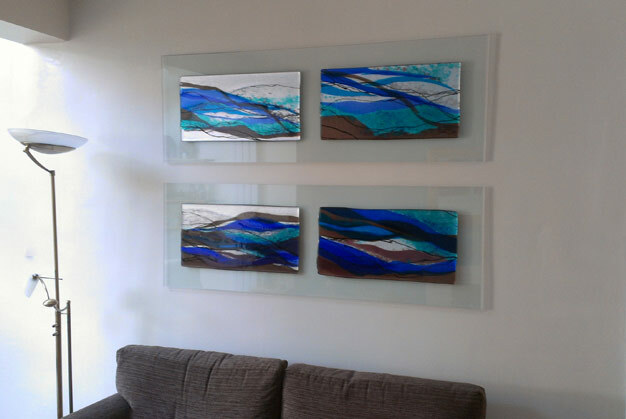 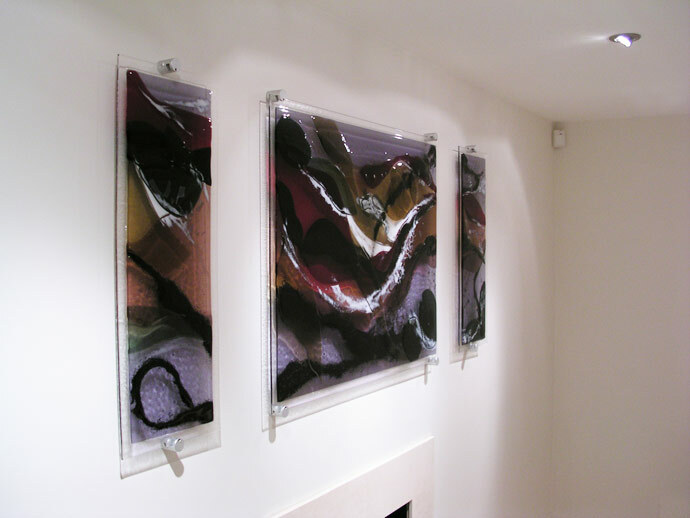 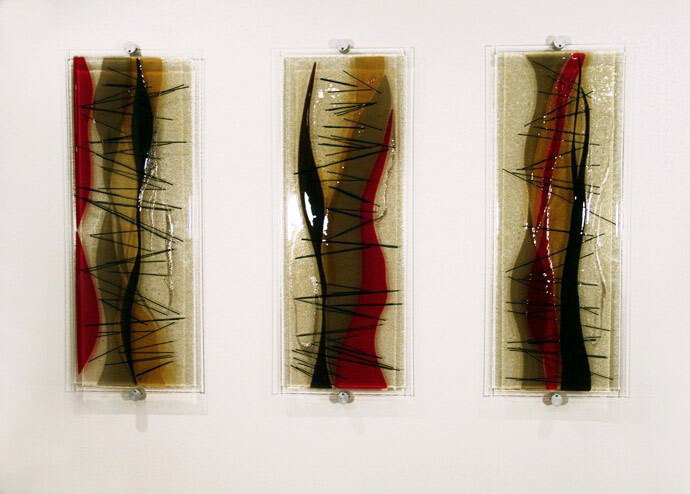 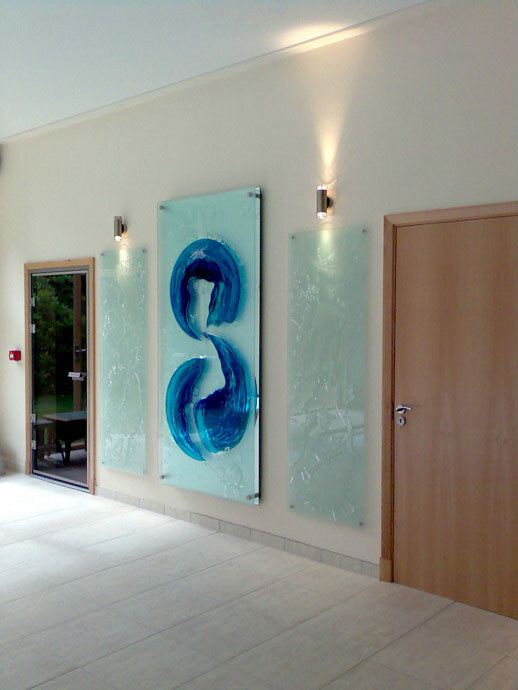 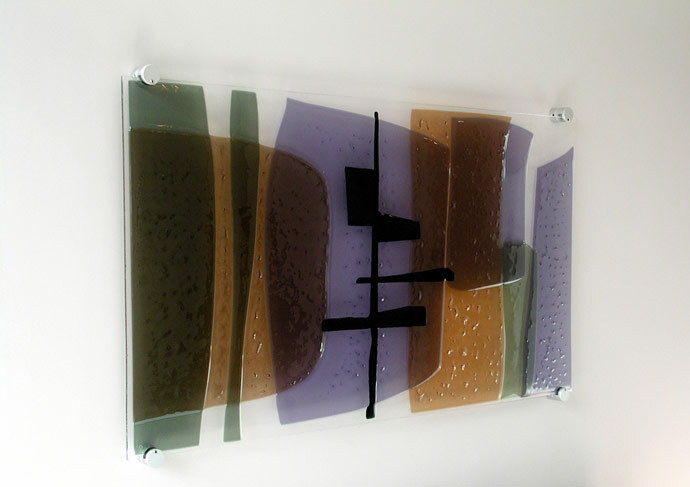 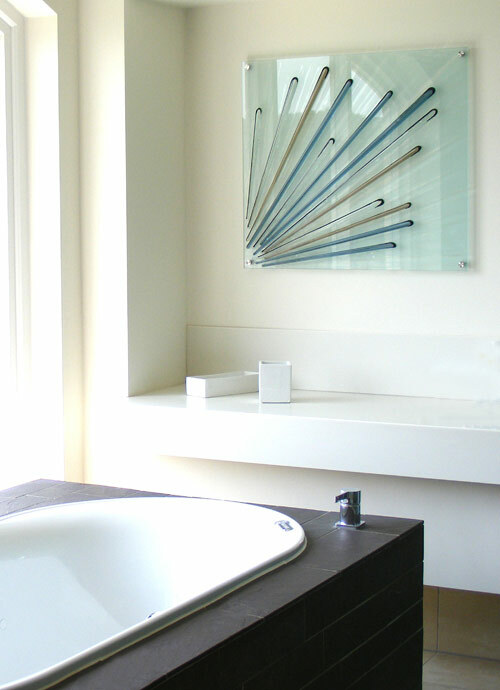 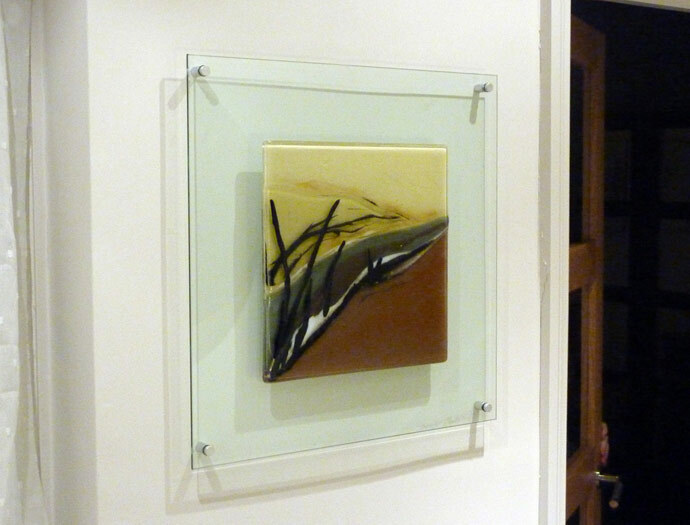 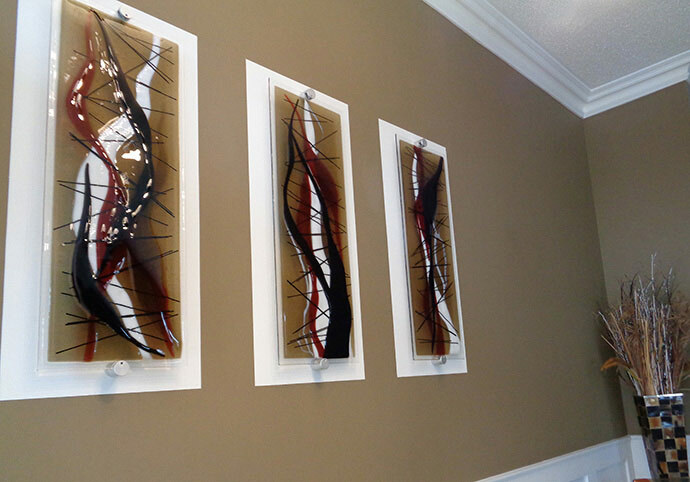 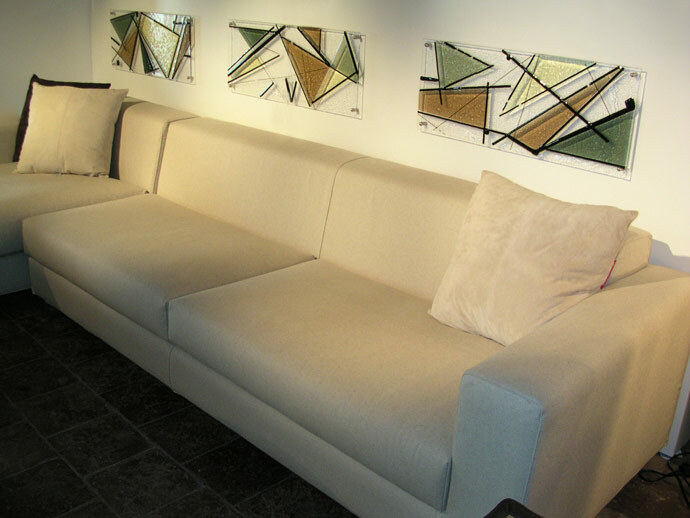 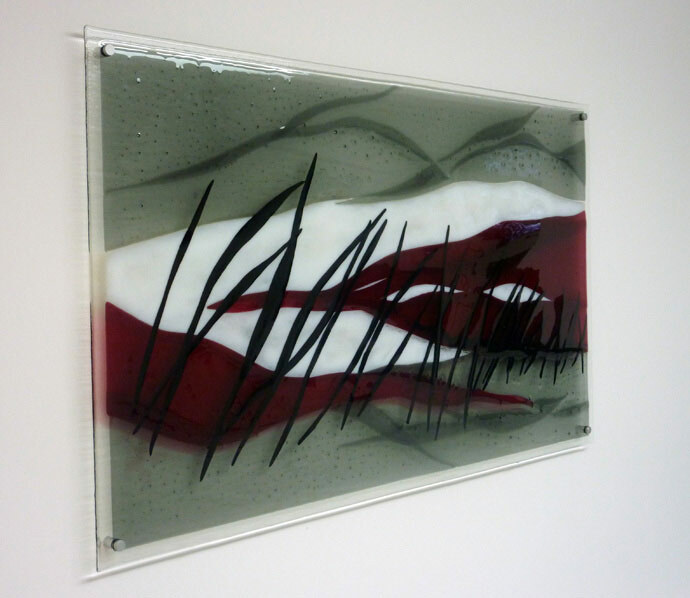 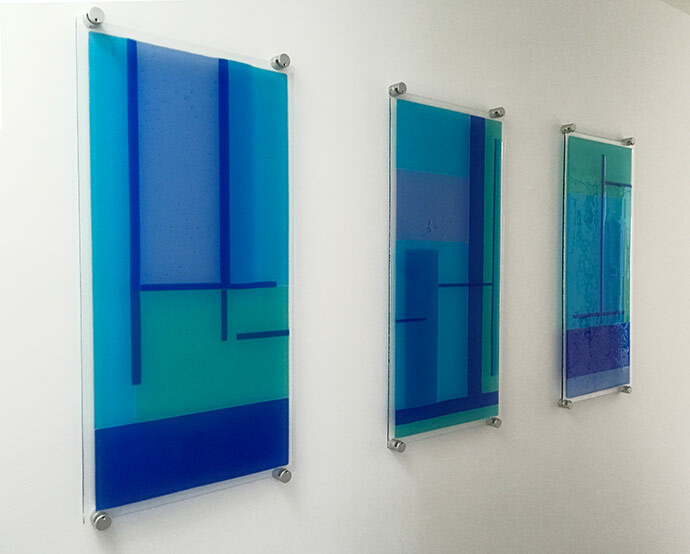 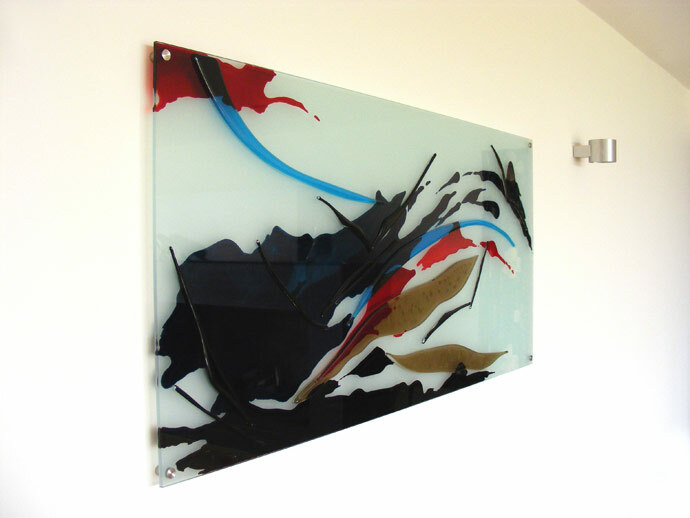 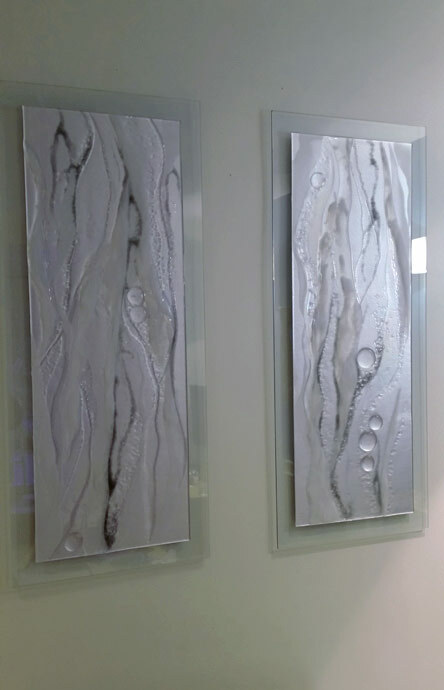 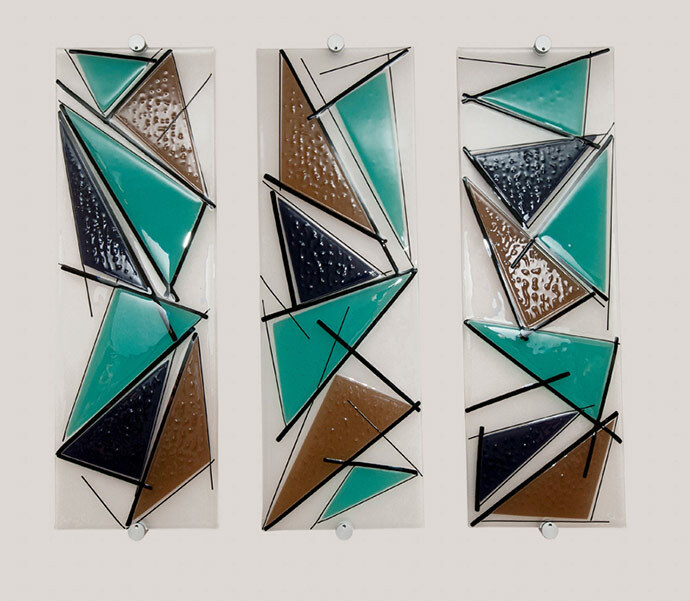 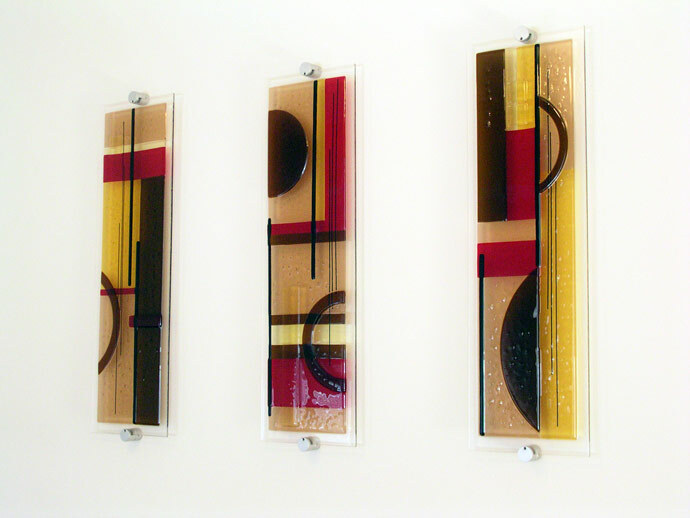 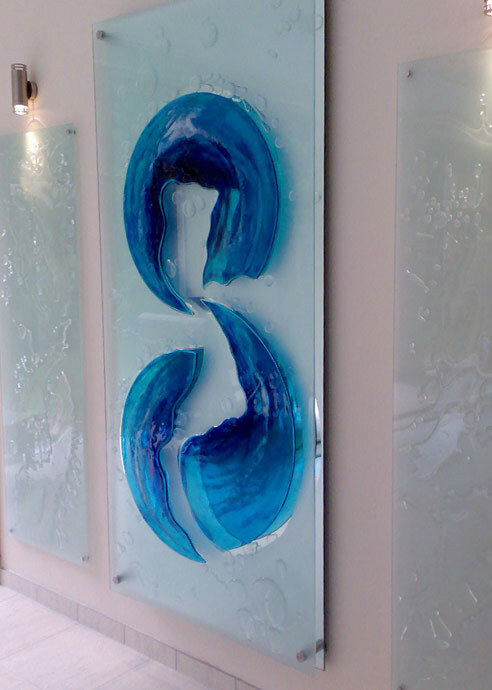 Beautiful glass wall art, designed just for your space. 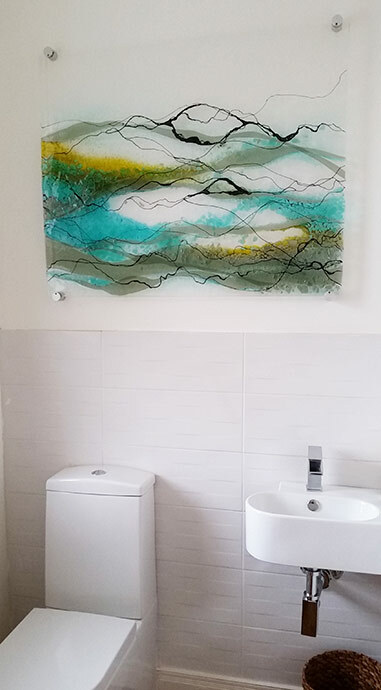 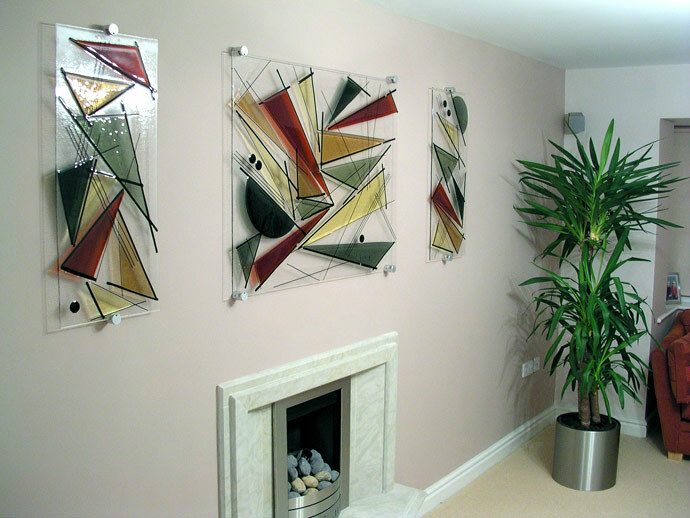 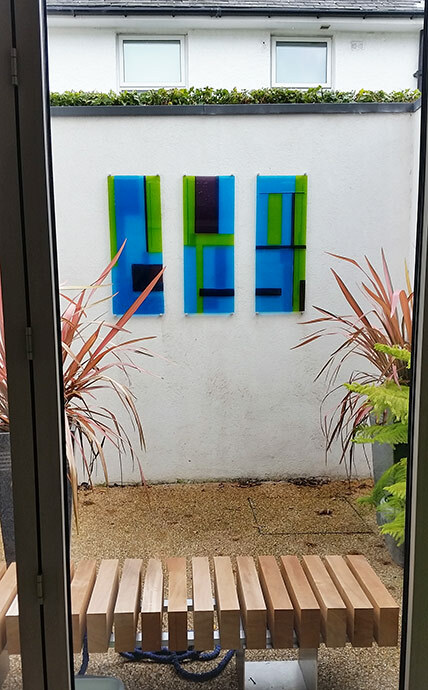 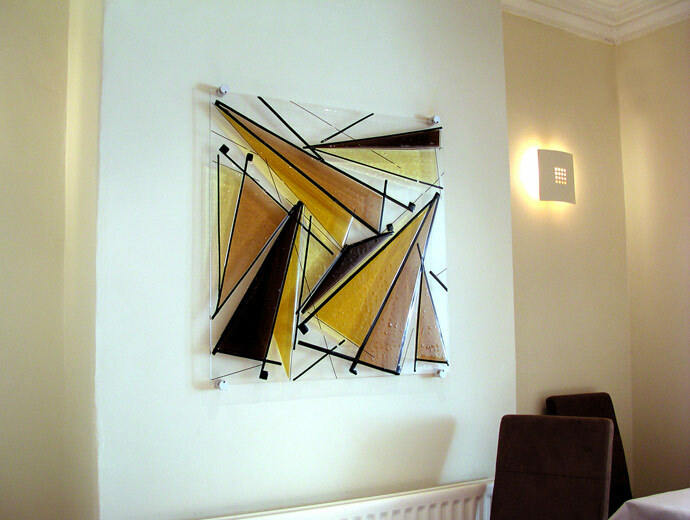 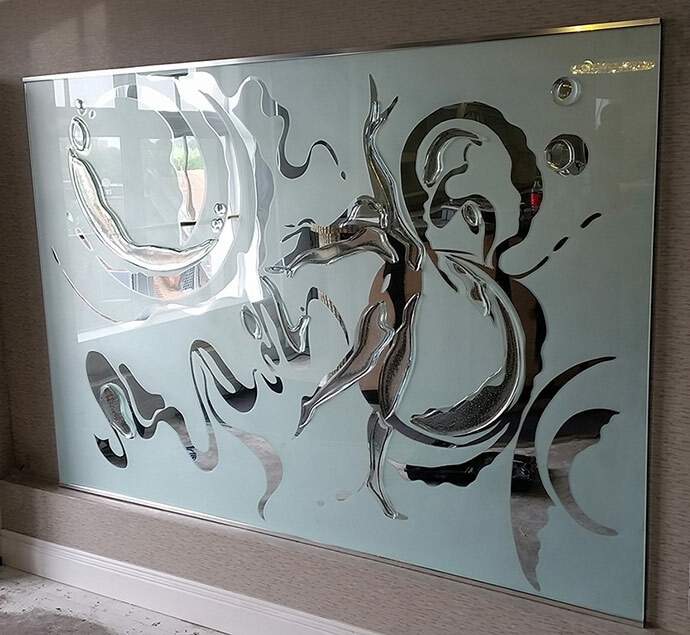 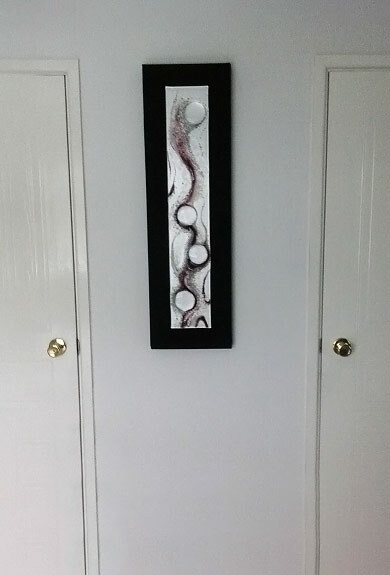 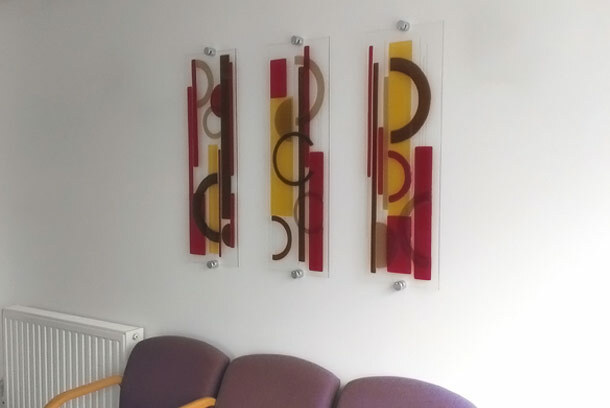 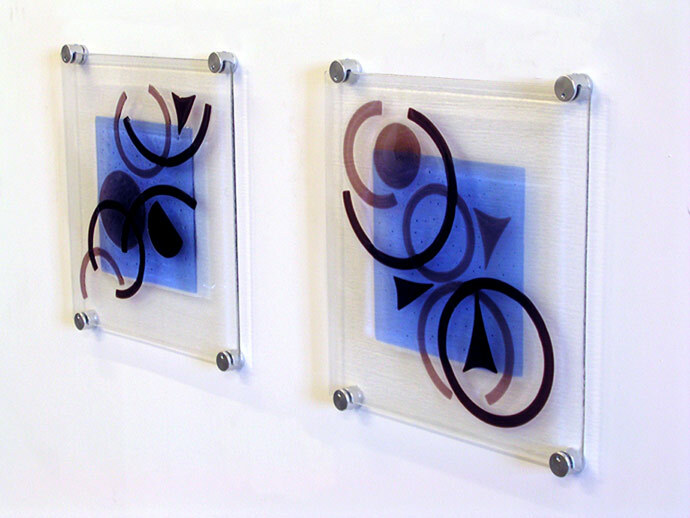 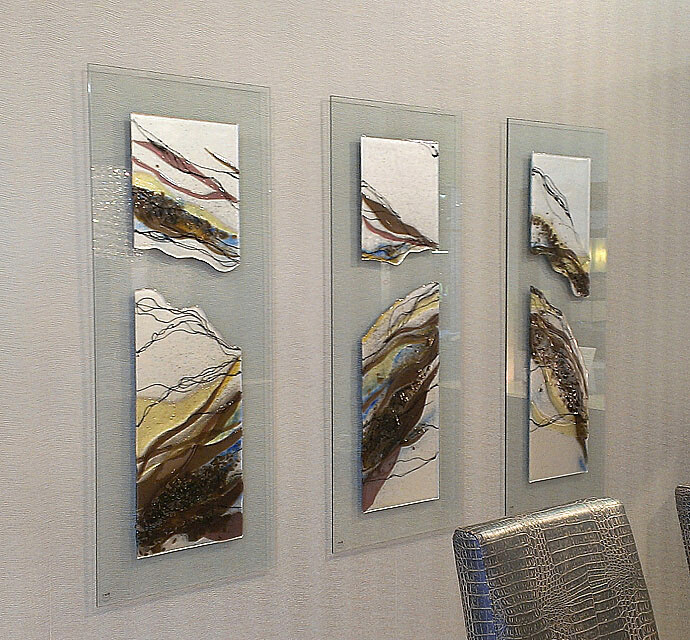 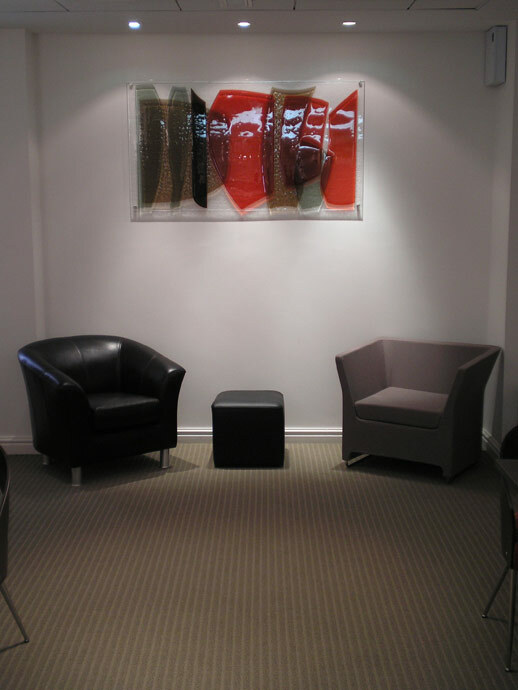 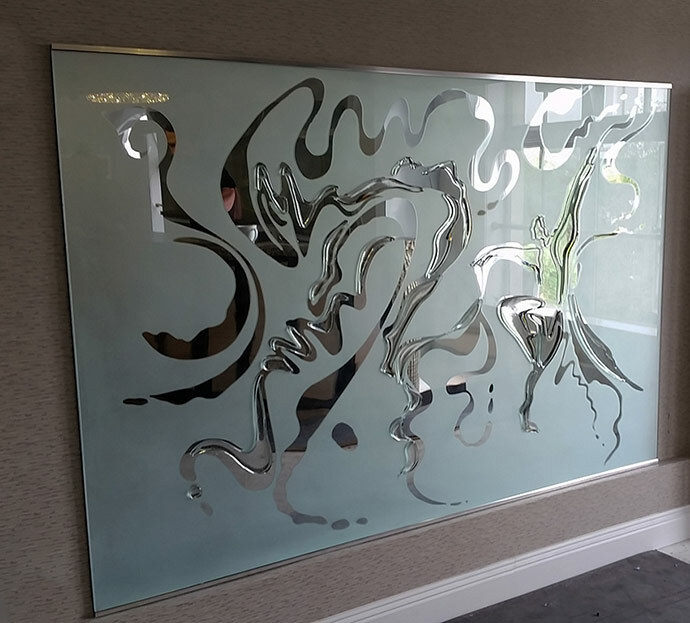 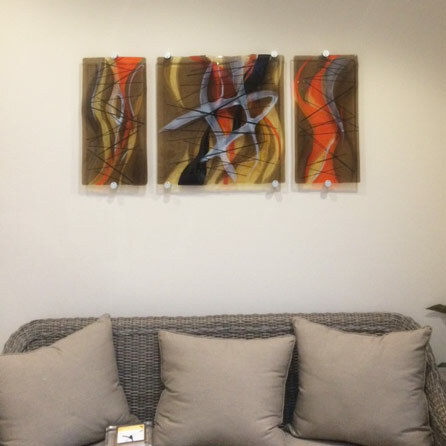 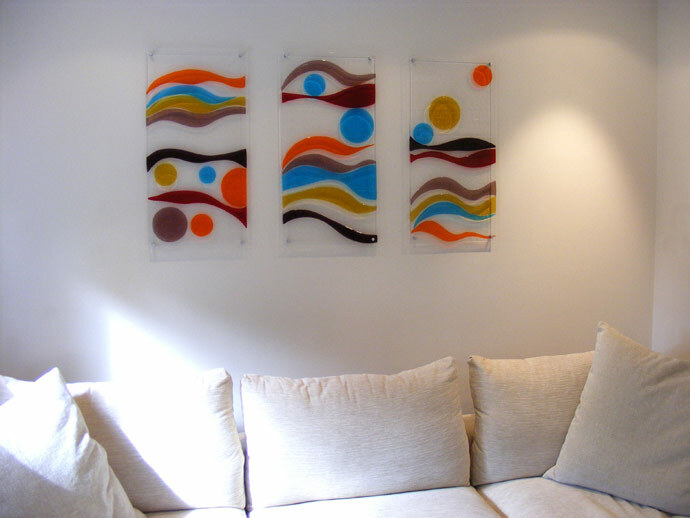 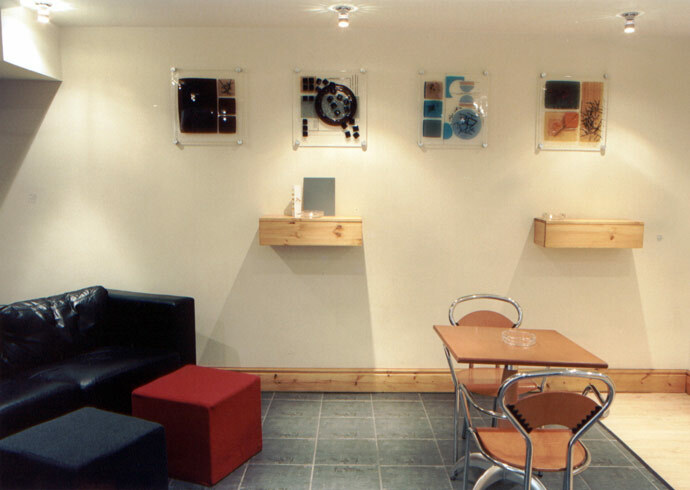 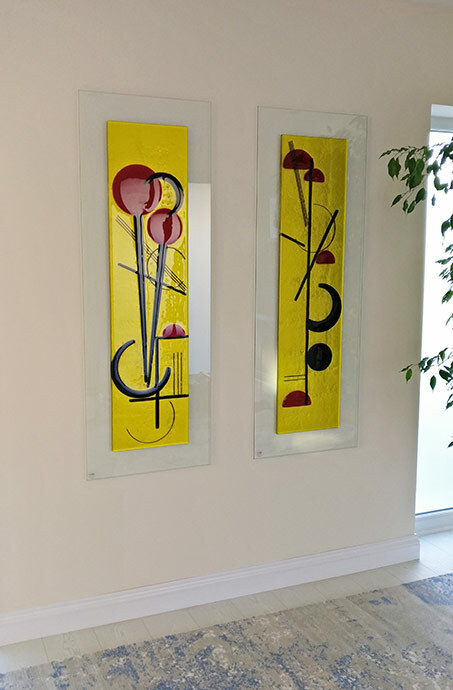 Our glass art wall pictures make a real visual statement and we have created a huge number of different designs, both organic and geometric. 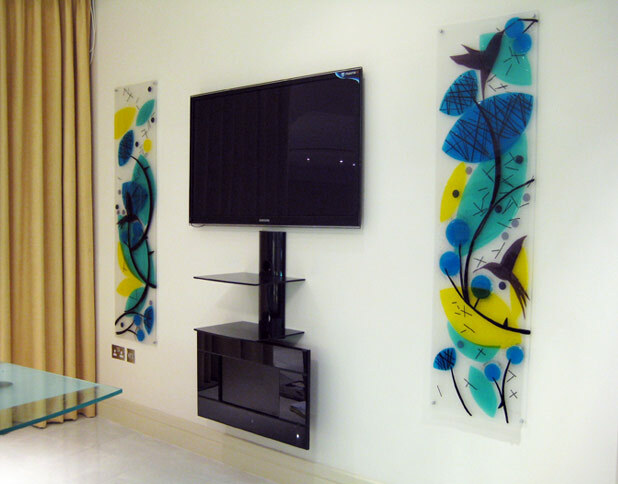 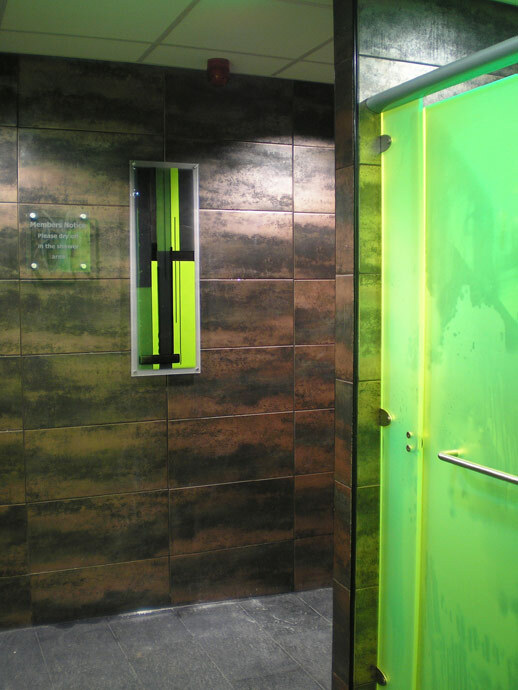 We can alter any of the designs below to suit your space by changing composition elements, colours, format and size. 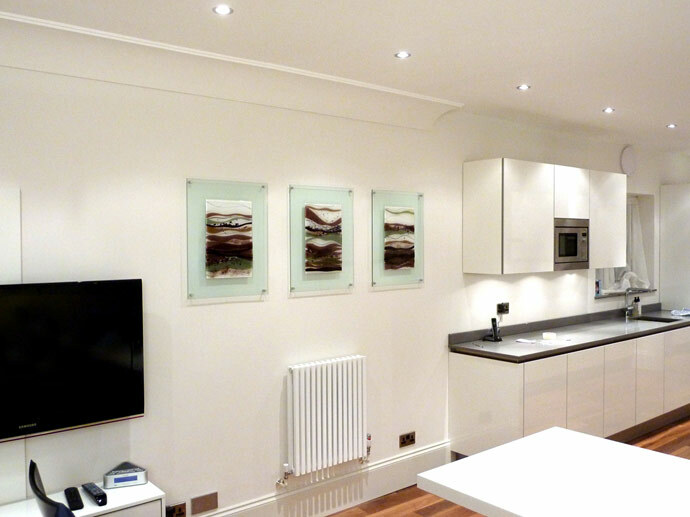 Just take a note of the reference number and we can give you an idea of what we can achieve, at what cost and over what timescale.